Looking to keep your lawn green throughout the summertime? Lawn & Weed Expert can provide a specially-designed summer lawn treatment programme to make sure your grass continues to grow healthily during the warmer months. This service is available throughout South Wales, including Cardiff, Newport and Swansea. Give us a call on 0845 272 6813 to get a quote for your garden. For our summer lawn feed, we change the balance of nutrients to increase phosphorous and potassium and decrease the nitrogen content as the demands of the grass plant change. There are enough nutrients in the summer fertiliser to nourish your grass for up to 10-13 weeks. Our fertilisers have a controlled, slow release and do not have to be watered in. Our early summer lawn treatment service is safe, efficient and cost-effective. 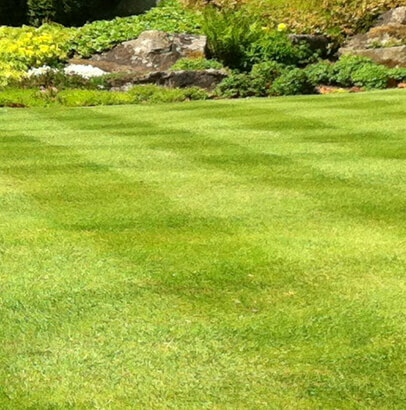 Get in touch now to request a FREE lawn survey.